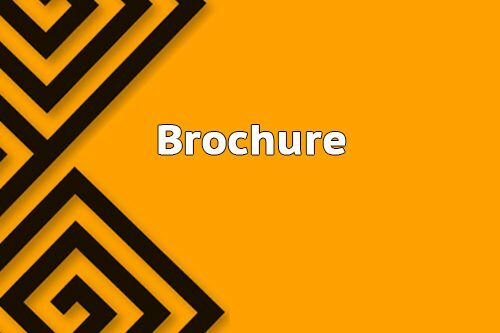 Buy your Brochure print-ready file made by Low Cost Web Agency! Our designing team will ensure you a high quality file and ready to print. The price is determined according to the number of pages you need and their formats. The number of stock photos eventually required will also have an impact. So, please contact us with your description to get a custom quotation. A Brochure is a well-elaborated commercial document built thanks to literal skills. A brochure will help on promoting your company! Generally used by the client to compare offers, it is absolutely a Marketing element that should impact your customers from the first look. Low Cost Web Agency its customers to have a well-designed brochure while presenting the proper content selection to conquer and get new clients. With this Gig, Low Cost Web Agency offers the possibility to get the promotional tool at a level that reflects your production and service quality. Our web agency delivers you a print-ready file you can provide to your favorite printer. Provide us all requested information to understand what are your expectations for your promotional brochure. Our team interacts with you to get the full details that we need, in order to understand your promotional objective and to recommend you the best solution for your corporate brochure. Any specific request? Consult our Custom Print-Ready product! What else, buy it now! It’s easy, it’s cheap, it’s Low Cost Web Agency! Saving money is so easy with Low Cost Web Agency!